More often than not, when Filipinos dine out in fastfood chains or fancy restaurants, we don’t bother cleaning up the mess on the table. It’s the job of the restaurant staff to do that, we reason out – and there’s nothing wrong about that, of course. 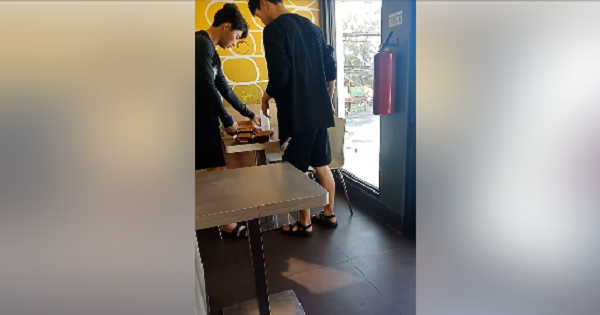 Netizen Adrian Symon Soco shared a video featuring two young Korean lads who were clearing a table at a Jollibee outlet in Carcar City, Cebu. 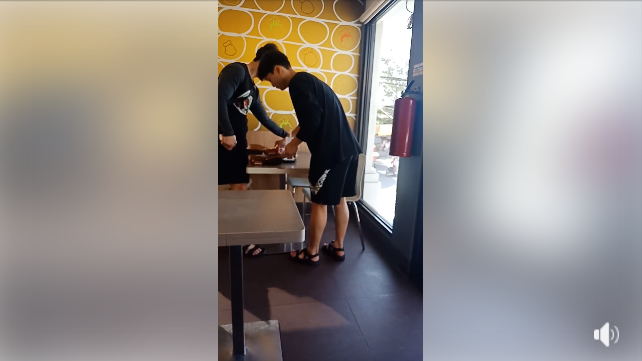 According to Adrian, he had noticed other Koreans earlier that day who cleaned up their tables after eating, making sure there was no trash left behind. Admiring the actions, he would soon take a video of the young Koreans he noticed doing the same thing he observed earlier. “Just saw two Koreans cleaning their mess before leaving. This should be an action worth following especially us Filipinos. Though this wasn't my first time to witness Koreans cleaning up their mess, what amaze me the most is their obsession with cleanliness. On that day, there were three groups of Korean tourist dinning at the same time and after they are done, almost all of them did pick up their trash and throw it by themselves. The post went viral, gaining nearly 900k views just a few days after Adrian shared the video. A lot of people expressed admiration that these young men were practicing the CLAYGO (clean as you go) mind set. Many also hoped that Filipinos would eventually learn to adapt this practice.